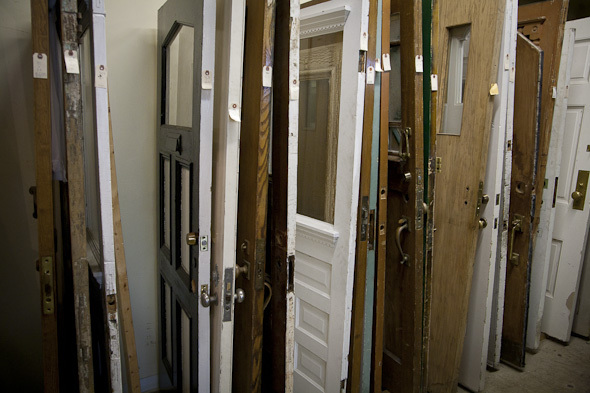 The Door Store, despite its name, is not simply a warehouse of reclaimed doors. 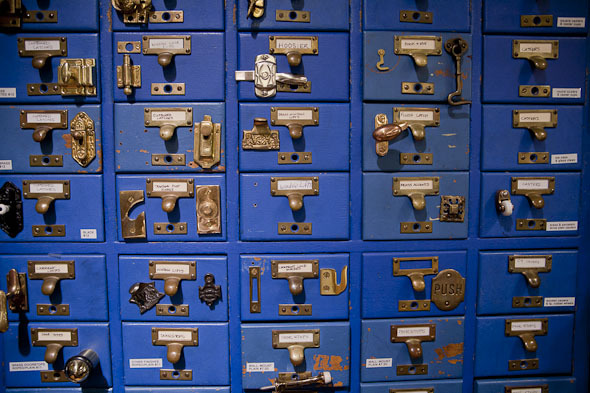 Granted, much of its inventory, especially that which is concentrated by the entrance of its Castlefield Design District showroom, consists of racked doors of various sizes and statements, but it seems that hardware is the shop's more discreet specialty. I sit down with Leila Mirshak, one half of the father-daughter team behind The Door Store, as she tells me about the nuts and bolts, so to speak, of the shop's hardware work. 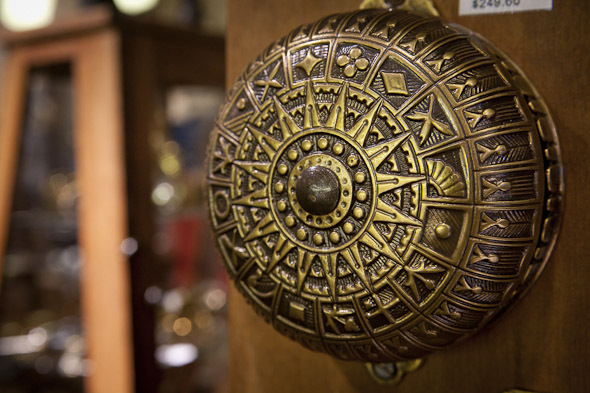 "We offer antique hardware as well as hardware services," she says. "When we can, we like to find a way to make old hardware work. That way, customers don't have to deal with new materials, new holes, that sort of thing." 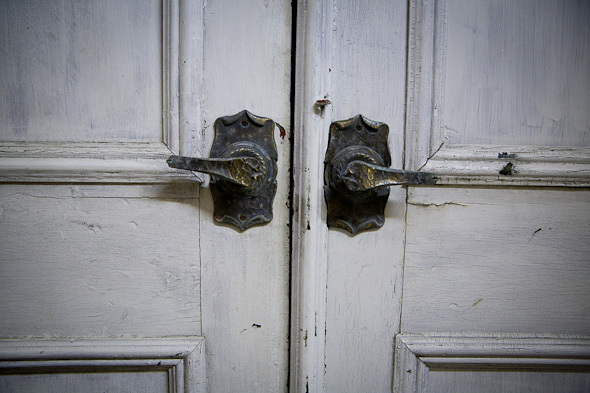 "Often, really beautiful pieces just need to be refinished; we'll strip the lacquer and reveal lovely brass pulls and knobs. Original hardware just has a certain charm." Leila takes me into a back storage room that is absolutely brimming with all sorts of handles, knobs, pulls, brackets, screws and more, and she tells me that The Door Store rarely comes across a piece of hardware it's unable to fit. 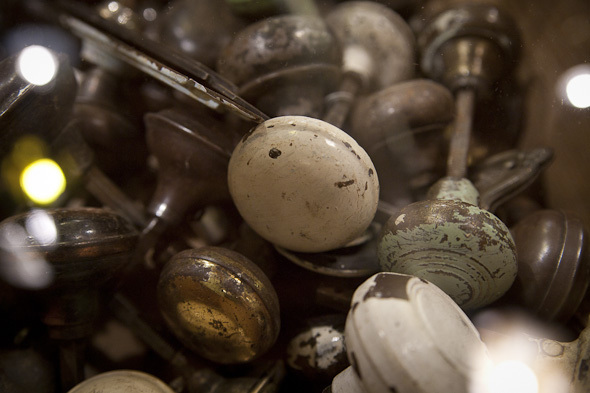 Of course, these are the bits and pieces; out in the showroom is where the brass, glass, and antique hardware of other materials are displayed, mostly behind glass. Cost for a vintage set can range from around $80 to over $350. 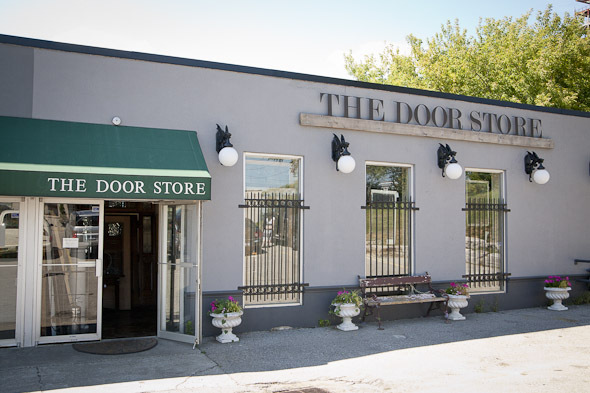 The Door Store is approaching its 40th birthday and is a well-tapped source of inspiration for local designers, restaurateurs, and homeowners, according to Leila. "It used to be," she says, "that people would buy these old Victorian homes and think that everything had to match the era. But things have started to change. 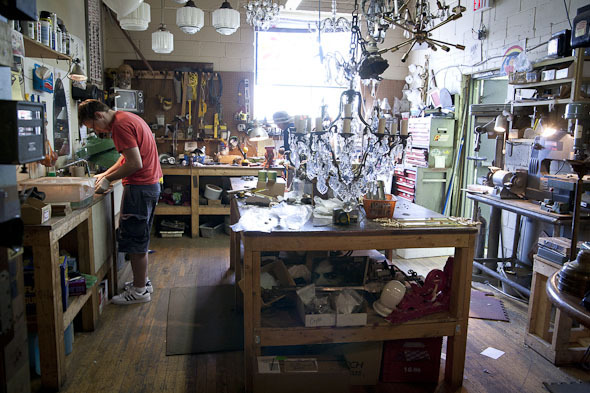 Now people are willing to invest in really cool, big salvage pieces for modern homes or lofts." The conversation inevitably shifts to doors, and Leila clears up the apparent myth that The Door Store began as a purveyor of doors exclusively. "The focus has always been on architectural pieces," she says. "Doors (which can range from $350 up to $2,000), mantles, fixtures, that sort of thing. 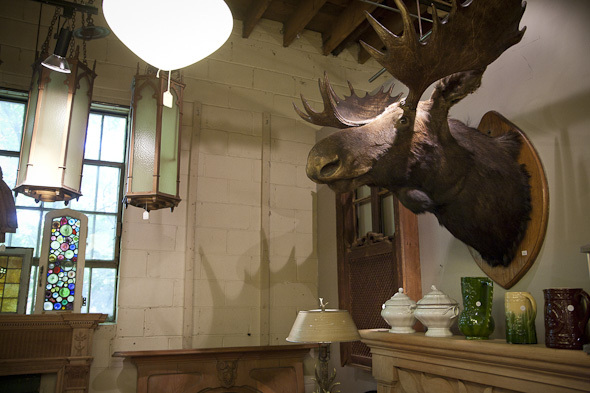 But as you can see," she continues, gesturing towards a massive moose head ($1,300) fixed over a elegant ivory mantle ($3,800), "we do still have a little bit of everything." I explore the 11,000 square foot showroom a few minutes later and discover some of those miscellaneous gems. 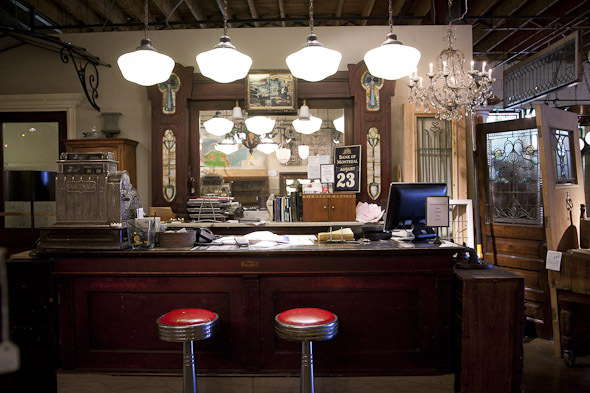 They include an old Victoria Arduino espresso machine ($2,500), a detailed cast iron crucifix circa 1890 Normandy ($1,400) whole roster of antique floor registers and reproductions. I'm sure they'll all look lovely in a home behind an Italianate patterned glass front door.